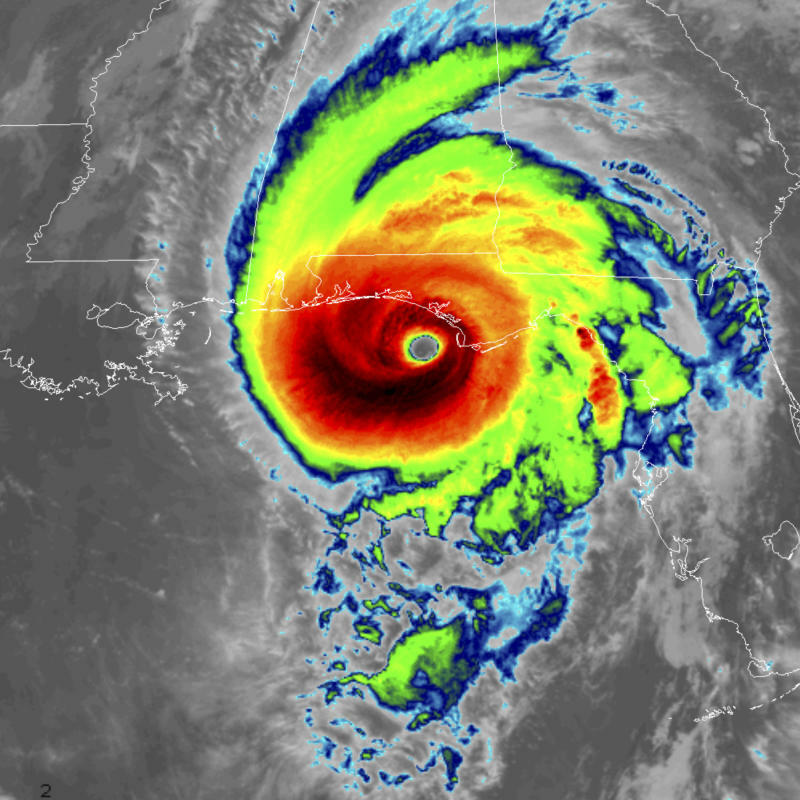 At least two deaths were blamed on Michael, the most powerful hurricane to hit the continental United States in over 50 years, and it wasn't done yet: Though weakened into a tropical storm, it continued to bring heavy rain and blustery winds to the Southeast as it pushed inland, soaking areas still recovering from Hurricane Florence. Even the newest homes, built to withstand powerful storms, were obliterated by the Category 4 hurricane's 250 kilometre-an-hour winds and three-metre storm surge. Florida governor Rick Scott said: "This morning, Florida's Gulf Coast and Panhandle and the Big Bend are waking up to unimaginable destruction". "Drove from Panama City nearly to Mexico Beach and I can tell you this is the worst damage from wind that I have ever seen!" "We worked all night in endangered circumstances". "We had about 280 residents who made the decision not to evacuate", said Mexico Beach Administrator Tanya Castor. Craig Fugate, former director of the Federal Emergency Management Agency and a former emergency management chief for the state of Florida, said "this is what we expect with storm surge and high wind events". And as the storm continues moving in a northeast direction, forecasters predict parts of Georgia, the Carolinas and Virginia could experience "life-threatening flash flooding". The Carolinas are still recovering from Hurricane Florence last month. Much of Port St Joe, 19km east of Mexico Beach, was underwater after Michael hit, snapping boats in two and hurling a large ship onto the shore, residents said. No patients were hurt, the hospital said. "The wind that came through here was surreal". Scott has called up 3,500 members of the National Guard, and over 1,000 rescue workers from around the country are assisting in the effort. Thousands of people hunkered down in shelters overnight after fleeing their homes ahead of the storm. Wind damage was also evident. Downed power lines lay almost everywhere. "The ragged but still raging remains of Hurricane Michael have now come to North Carolina", Cooper said. The third-most powerful hurricane to hit the US mainland in recorded history left a wide path of destruction across Florida and Georgia, destroying homes and shopping centres and knocking down trees, killing at least two people. Only Hurricane Camille on the Mississippi Gulf Coast in 1969 and the so-called Labor Day hurricane of 1935 in the Florida Keys were more intense. President Donald Trump told reporters he will most likely visit Florida on Sunday or Monday to meet with local officials and survey damage from the storm.